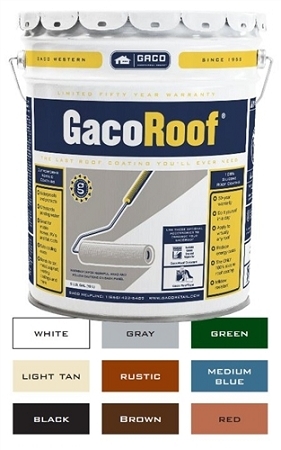 GACORoof allows you to waterproof in a day! GacoRoof is the only coating on the market that stands up to permanent ponding water without bubbling, peeling, or breaking down. This coating will stay flexible and maintain adhesion. This product doesn't require a re-coat every 3-5 years like others, with GacoRoof, do it once and you're done. Can be used on metal roofs, tar and gravel roofs, cap sheet, torch down, composite, aged asphalt, modified bitumen, concrete roofs, barrel tile, sprayed urethane foam, low-pitched roofs, flat roofs, mobile homes, RV's and campers, and built-up roofs. The Coverage rate is 100 sqft/ gallon in each coat of smooth surface; coverage rate may decrease on textured surface, and more coating is required. As a safeguard add a 10% to the square footage area for texture surface. For pitched metal roofs add 25%. Life: GacoRoof has a 50 year limited warranty when properly applied. Preparation process: Wash roofs with GacoWash concentrated cleaner before applying GacoRoof. Application process: No special equipment required, just roll it on. Can be applied when temperatures are between 32 - 120 degrees Fahrenheit. Dry Time: Allow 1st coat to dry thoroughly, between 3-12 hours depending on temperature/climate, before applying the 2nd coat. Measure the roof area (length & width) that you desire to waterproof. Add all the measurements to have a total length and a total width. You are done!! If you are ready to buy click on add to cart so you can go to the checkout section. Gaco highly recommends to use a different color on the first hand of coating to effectively differentiate each one of the coatings that you are applying. We recommend to use Gray on the first coating and white on the second one. Please make sure that you chose the correct colors & pail quantities when placing your GacoRoof order. IMPORTANT COST SAVING TIP: When using Colors always use White or Gray for the First coating. If you use other colors it will increase the cost of your roof project. Need a qualified roof contractor for your project? if you need assistance in finding the most qualified contractor to apply GacoRoof products on your roof. Please specify what type of roof surface, total roof sqft area, and your complete contact information in your email. All Orders in Puerto Rico's Main Island will be shipped via a local courier service to your home or physical location with a Tracking number for your convenience free of charge. Vieques and Culebra orders will have a special delivery rate. We will send you a shipment confirmation once the products have been shipped from our warehouse. 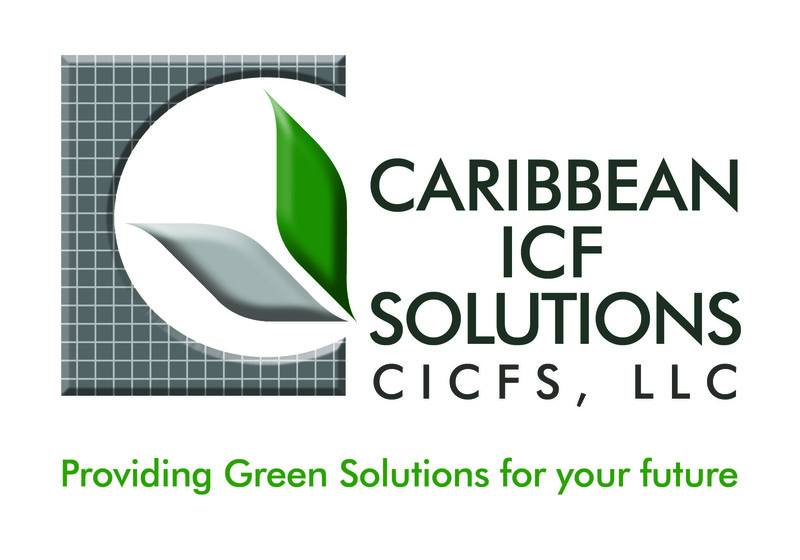 Copyright CICFS-ONLINE-STORE. All Rights Reserved. Shopping Cart powered by 3DCart.